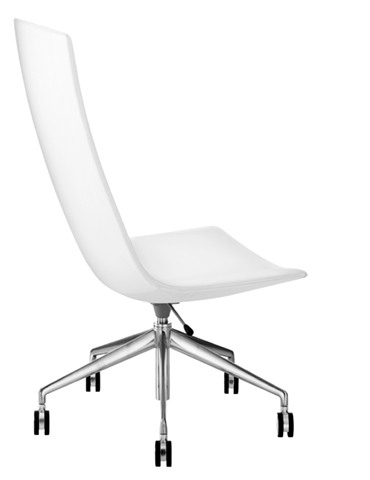 Chair with 5 way base in polished aluminum, mounted on self-braking castors, available with gas mechanism (Art. 2112) or with gas and tilt mechanisms (Art. 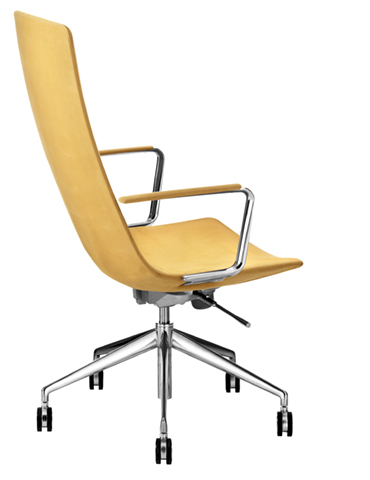 2114), also fitted with steel or upholstered armrests. 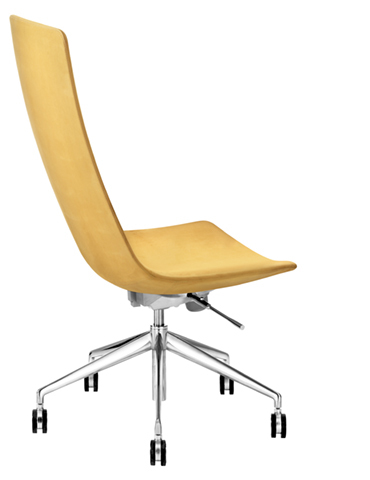 The polyurethane shell is upholstered in leather, faux leather, fabric or customer’s fabric. 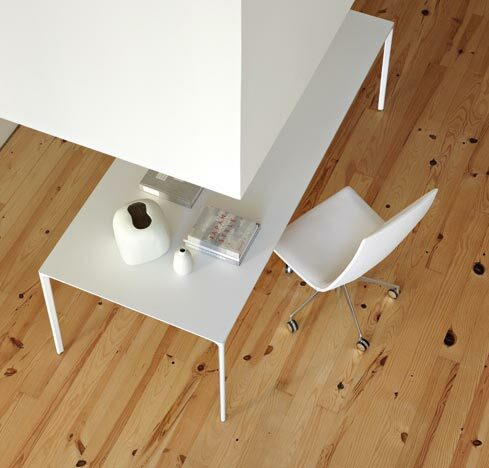 Dimensions: 68 x 66 x 106/116 cm, with armrests: 68 x 68 x 106/116 cm, seat height: 41/51 cm.